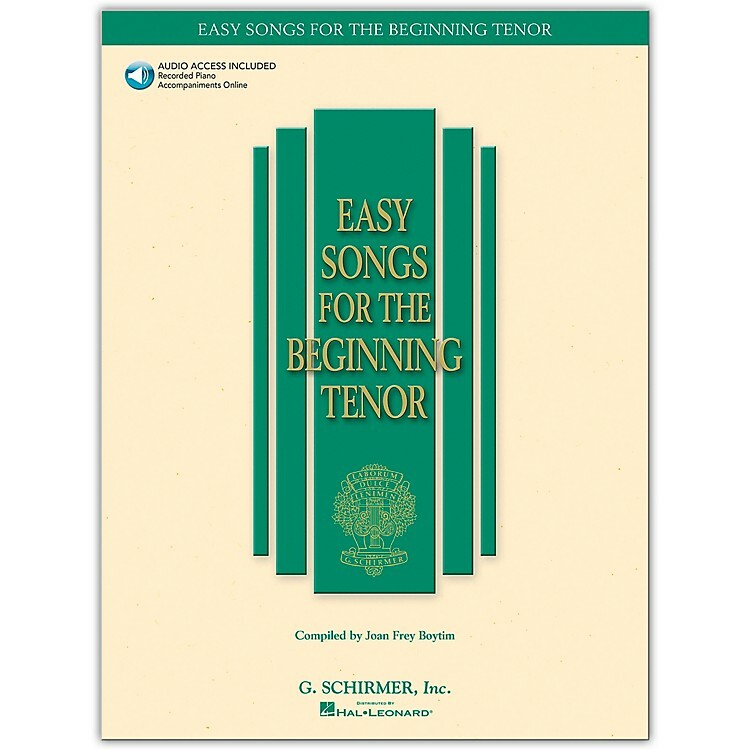 This series was designed to supplement traditional vocal instruction and works perfectly as preparatory literature for The First Book of Solos and The First Book of Solos Part II. Each piece is in English and has a limited vocal range as well as a piano accompaniment that is playable by a student pianist. The pieces include art songs, folksongs, humorous songs, and suitable vintage popular songs and are all appropriate for contest solos. The accompanying Online Audio includes professionally-recorded accompaniments. Tenor Contents: The Ash Grove (Welch Air) · By the Light of the Silvery Moon (Edwards) · Come, Aurora (arr. Charles) · Drink to Me Only with Thine Eyes (Old English Air) · A Fable (Arensky) · Flow Gently, Sweet Afton (Spillman) · Hark! Hark! the Lark (Schubert) · I'm Always Chasing Rainbows (Carroll) · If You've Only Got a Moustache (Foster) · The Little Irish Girl (L¶hr) · My Wild Irish Rose (Olcott) · Passing By (E. Purcell/Fisher) · A Pretty Girl is Like a Melody (Berlin) · The Rose of Allandale (Nelson/Goodell) · The Rose of Tralee (Glover) · Requiem Underwoods (Homer) · Santa Lucia (Cottrau) · Katy Bell (Foster) · Rock-a-My-Soul · Scarborough Fair (English Folksong/Sharp) · Standin' in the Need of Prayer · Steal Away · When Irish Eyes Are Smiling (Ball).